We participate in DHIR, Linear Appraisal and attend as many shows as possible! 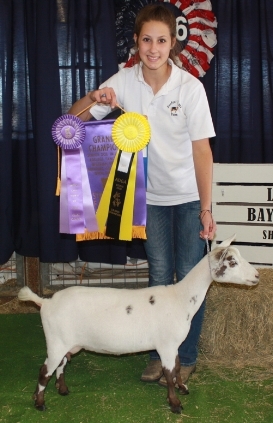 Perfect Time Farm is a small farm that raises quality Nigerian Dwarf goats. We have built our foundation herd with top bloodlines that do well in the show ring as well as the milk pail. We are participating in ADGA PLUS, DHIR standard 305 day testing and 8 of our does earned their stars and AR status! We have honey bee hives as well and enjoy the fruits of our labor, Milk and Honey! Everyone in our herd tested neg. for CAE, CL and Johnne's disease this year. Check out our herd sires! Like Perfect Time Farm on facebook!